The priority of our activities is and has always been to introduce spectators to the delight of fiery spectacles with an emphasis on the safety rules at every stage of implementation. We have been invariably enthusiastic and happy to create innovative pyrotechnic shows for over 20 years. In our portfolio we have achievements like: Winki in Cracov, A great parade of dragons of the Groteska theatre, a show crowning the celebrations of the 800th anniversary of the city of Opole or opening of the highest office building in the country Warsaw Spire. We are the first place winners at the prestigious pyrotechnic festival Ogień i Woda in Ełk and laureates of the German festival Feuerwerkersinfonieu in Potsdam. We combine innovation, experience, and safety. 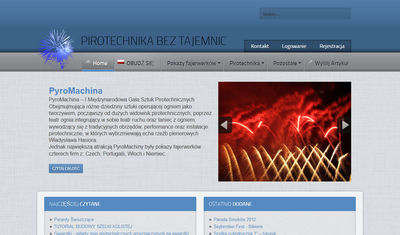 We specialize in designing and implementing large pyrotechnic shows. We are highlighting outdoor events in many Polish cities for institutions, companies and privet individuals. We participate in competitions at home and abroad. We have the highest class equipment that guarantees precision and safe fireworks firing. All of our shows are synchronized with music using a computerized pyrotechnic control system. As our motto says „we paint fiery landscapes” We make every effort so that the shows can be received in such a way – as sophisticated paintings painted with fire. We have a concession for explosives required by Polish law and permission of the Małopolskie voivode to perform pyrotechnic shows. 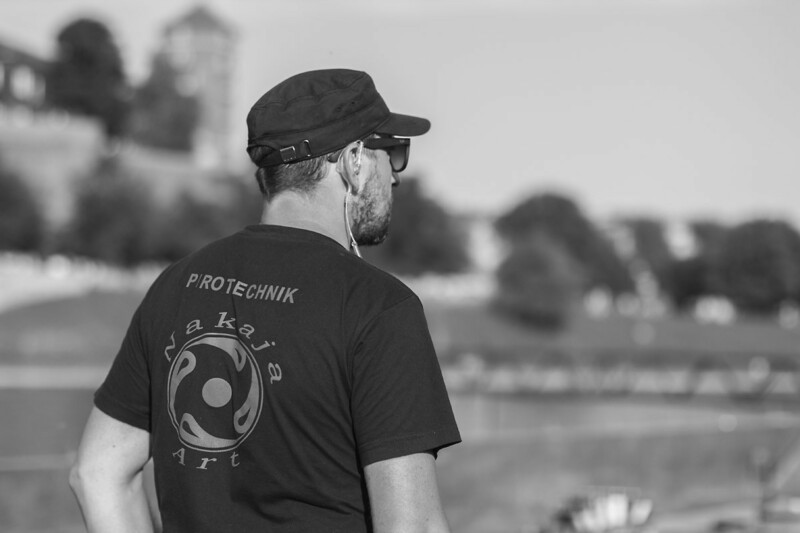 All employees of our company are experienced pyrotechnics who have completed the training of the Military Institute of Technical Armament in Zielonka. In addition, we have a professional, certified warehouse for explosives. 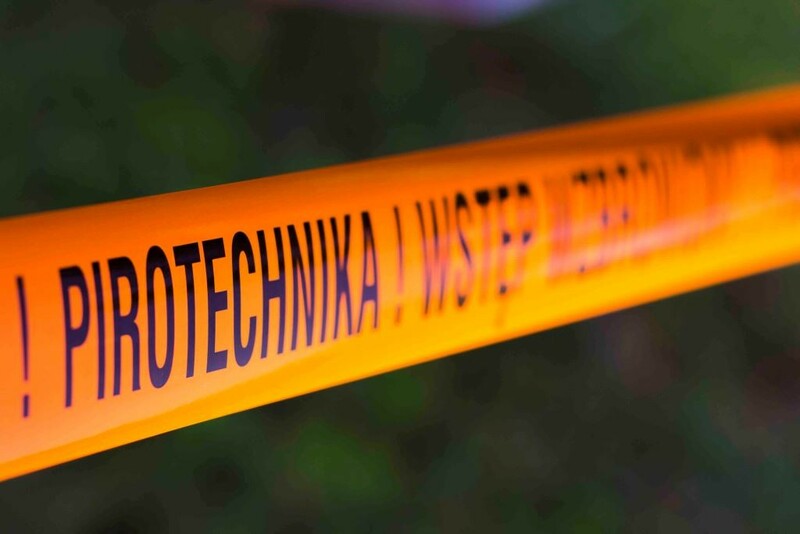 We were the first in Poland to introduce an innovative, certified mortar stabilization system for pyrotechnic bombs, guaranteeing safety and precision of fired materials.